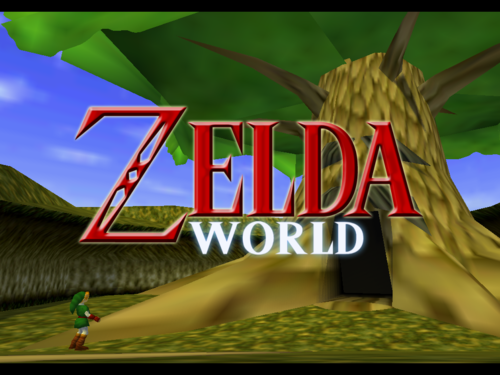 Zelda World is a game, made by fans, meant to bring a MMO styled Zelda to the masses set in the Ocarina of Time world. The problem? It’s really nothing other than a bare bones sandbox at this time. Still, it’s interesting watching it come into fruition. Presently, the game is in Alpha. That virtually means there is nothing to do and a lot of glitches. That being said, Hyrule field, and the starting area, Kokiri Forest, does exist. You can’t enter any buildings, and there are no npcs and no other players to interact with, but the world is there. You start off with the sword, shield, and bow, though right now only the bow is vaguely usable. You can run around wildly shooting arrows, and they did leave a few arrow pick up points around so you don’t run out, but there is nothing presently to use the arrows for. No game world stuff that breaks, no enemies, no minigames. Of course, that is the point of Alpha – it’s in the very early stages of development. We’ll be keeping an eye on this project over the next few years of development, as naturally any decent MMO styled Zelda game piques our interest. You can try out the alpha and find out more at Mod DB.